Launching my new “Seasonal Favourites” Series, I thought I would start with my favourite Season of all…Spring. The Season of blossoms, lighter mornings and evenings, warmer weather and Mini Eggs (plus it’s my Birthday Season!). I always feel like Spring is such a happy time, people are relieved to be out of the Winter and are generally in more uplifting moods as we all start counting down and prepping for the long awaited Summer. 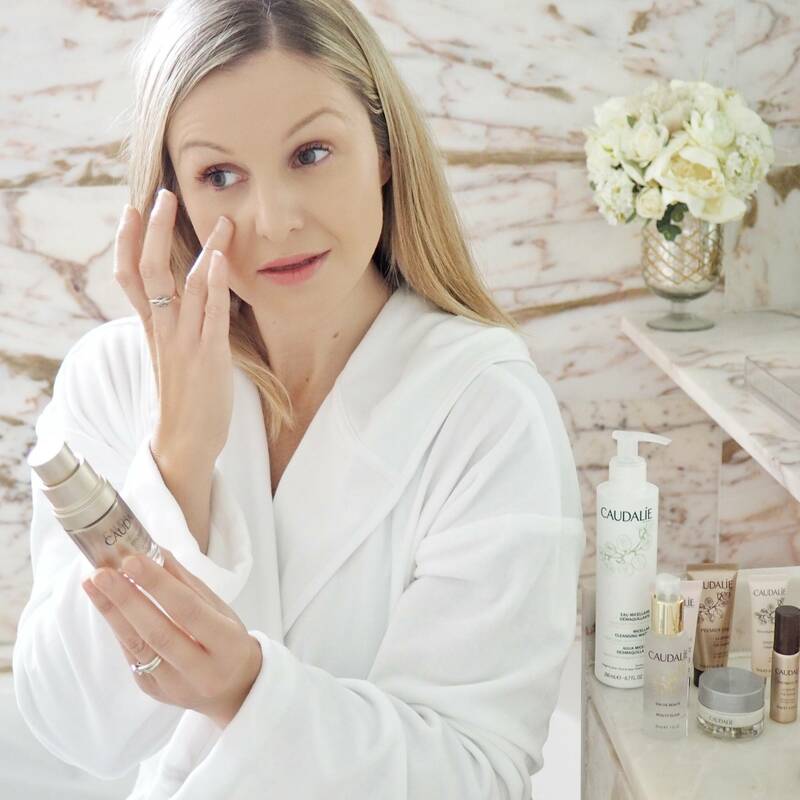 I like to switch my makeup, skincare, wardrobe and fragrances with each Season rather than each month, so I look forward to bringing you the products I am enjoying each Season and the ones I am reaching for day to day. 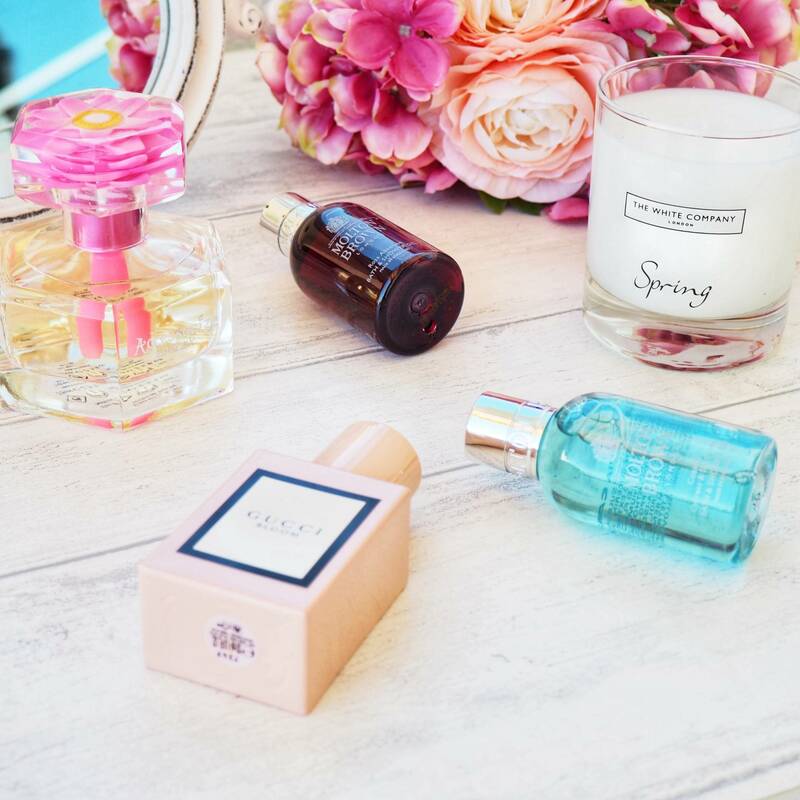 So, lets start with Fragrances…..
Fragrances are one of my favourites items that help me to switch Seasons, simply by spritzing a new perfume, using a different shower gel or lighting a new candle…a mood, tone and feel of the home and yourself can be changed in an instant. 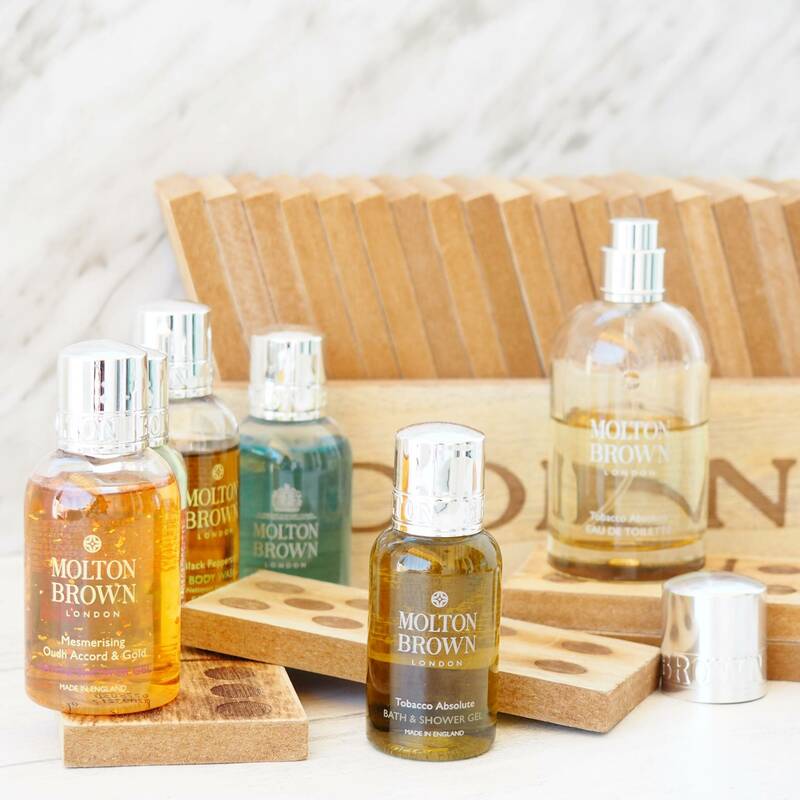 There’s nothing better than infusing a room with the Seasonal scents and filling the house with complimentary aromas. 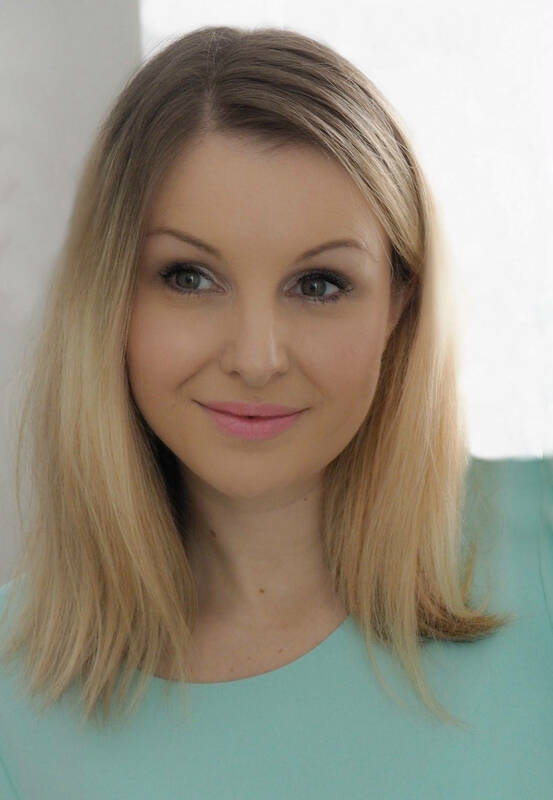 Whilst I tend to favour more heavier, musky tones in the Winter months that bring comfort and warmth, equally in the Summer I am all about Citrus scents that remind me of holidays, mediterranean skies and beaches. In Spring I tend to favour more ‘in between’ fragrances to match this ‘in between’ Season, scents that lean slightly more floral and are much fresher, crisper and lighter to wear. 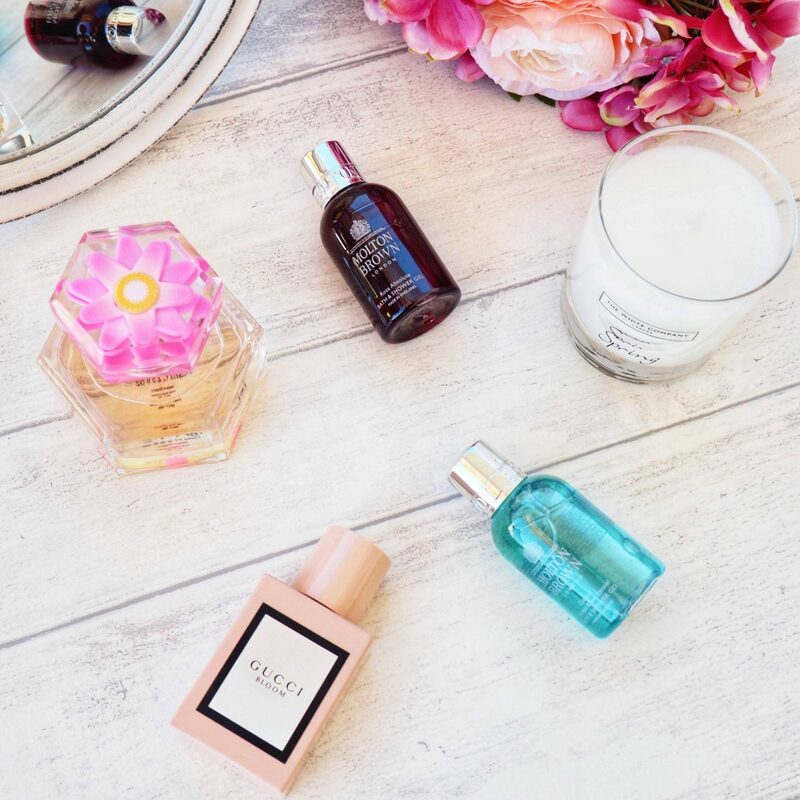 Fragrances that you can layer (just like you typically do with your wardrobe for this Season thanks to the good old British weather). 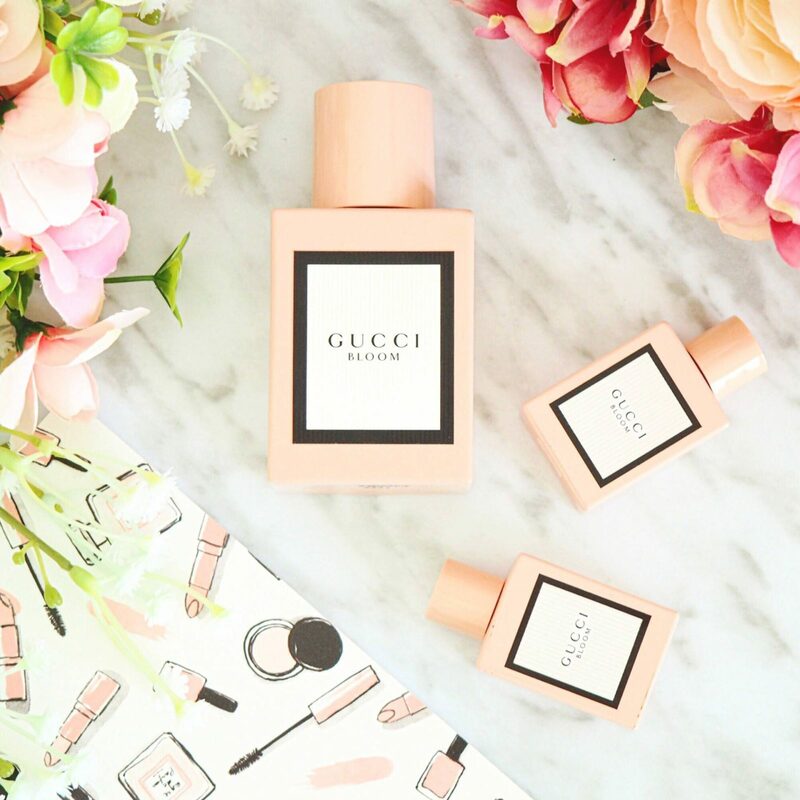 I was kindly sent a sample of this Gucci Bloom perfume by John Lewis back in November when I was working on a ‘Winter Fragrances’ campaign with them. This was by far my favourite scent of all, however I didn’t select it in my Winter Favourite Fragrances because I personally felt it was slightly more suited for Spring compared to some of the other scents I thought worked better for the Winter months. 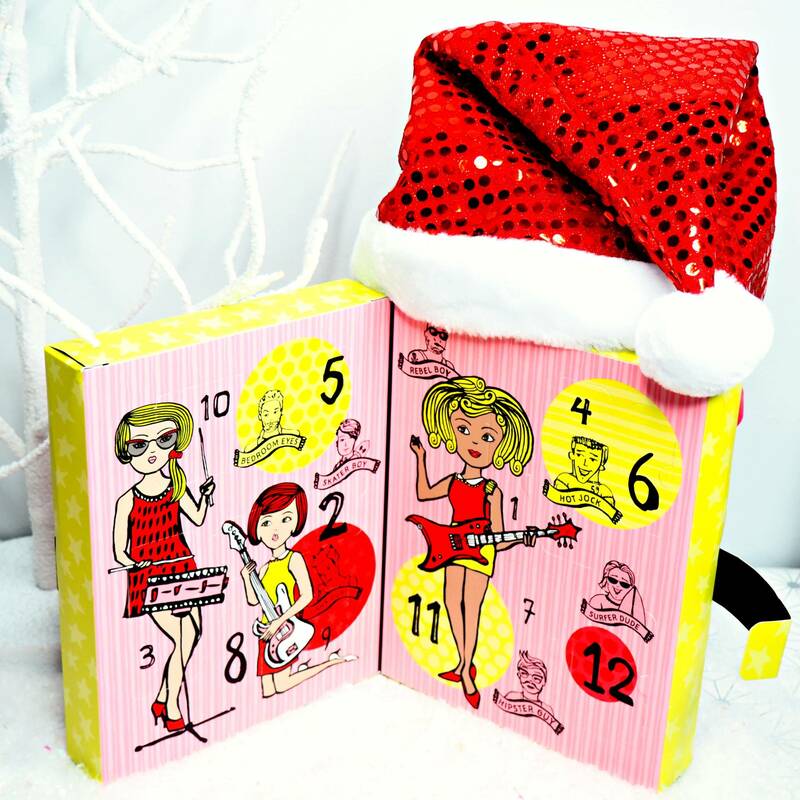 But it was one perfume I just couldn’t get out of mind, every time I passed through a department store or duty free at the airport I kept going back for a good old spritz of it. 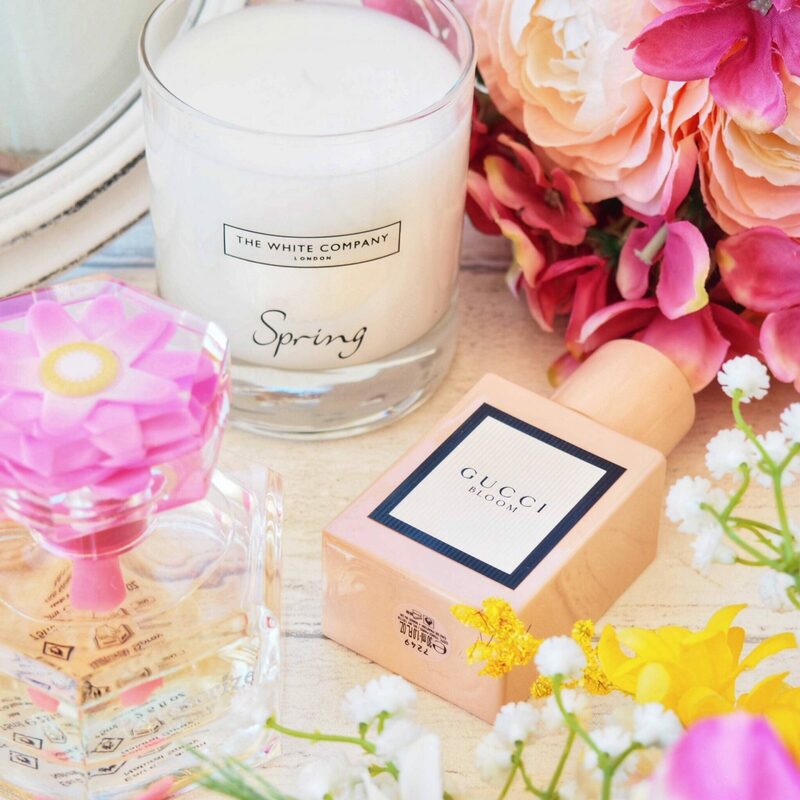 As soon as Spring arrived I treated myself to a full size bottle of Gucci Bloom and oh my goodness I think this has become one of my all time favourite perfumes. 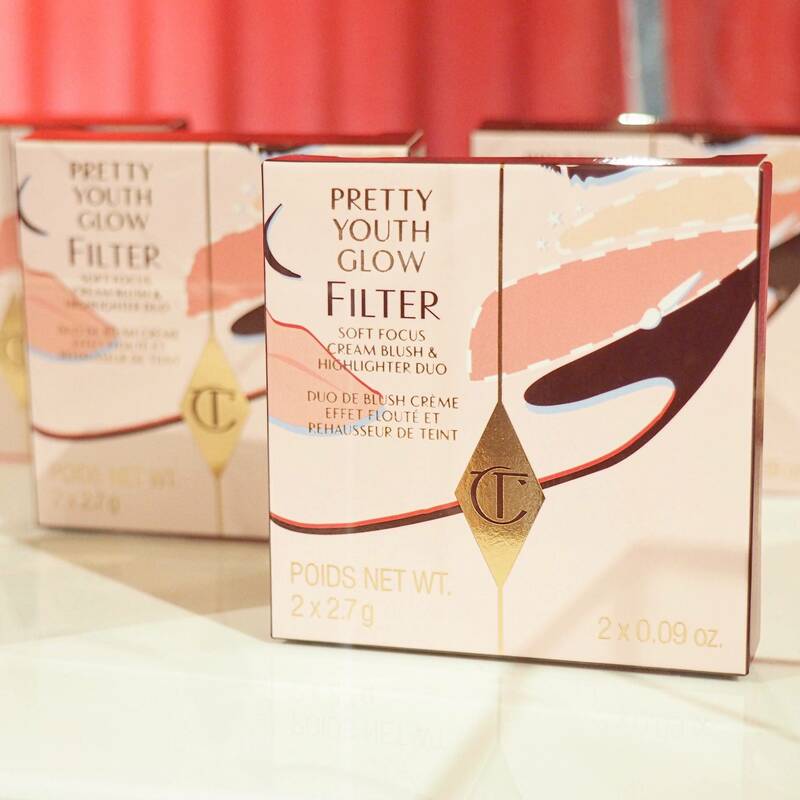 I just love everything about it from the simple (and oh so photogenic) packaging, to the beautiful scent itself. I think its quite a unique scent, its delicate and discreet, certainly not an overpowering fragrance nor is it too sweet. 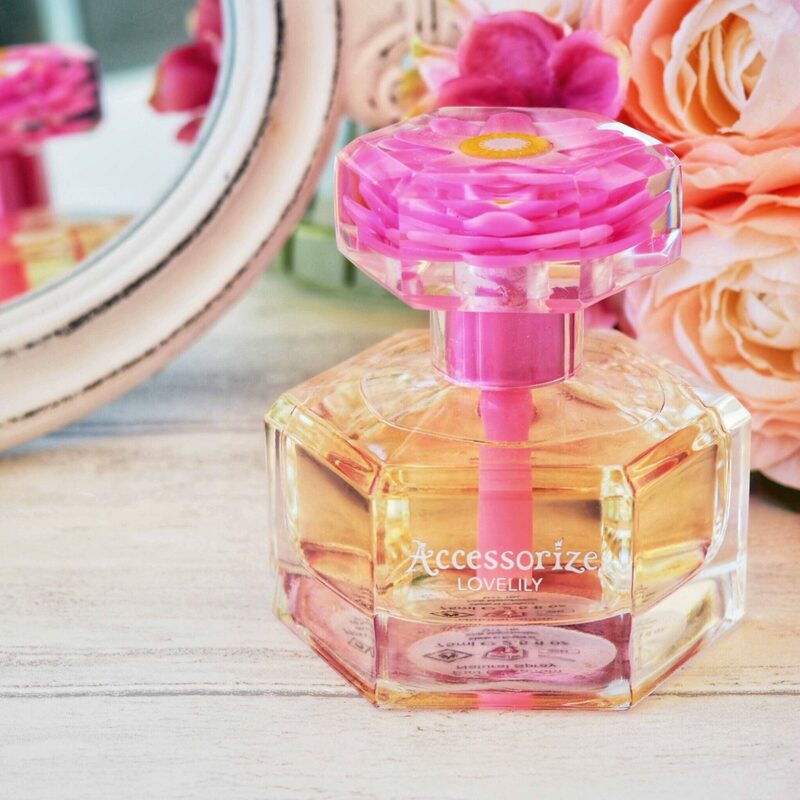 To me its the ideal everyday scent that suits any occasion and is just timeless. 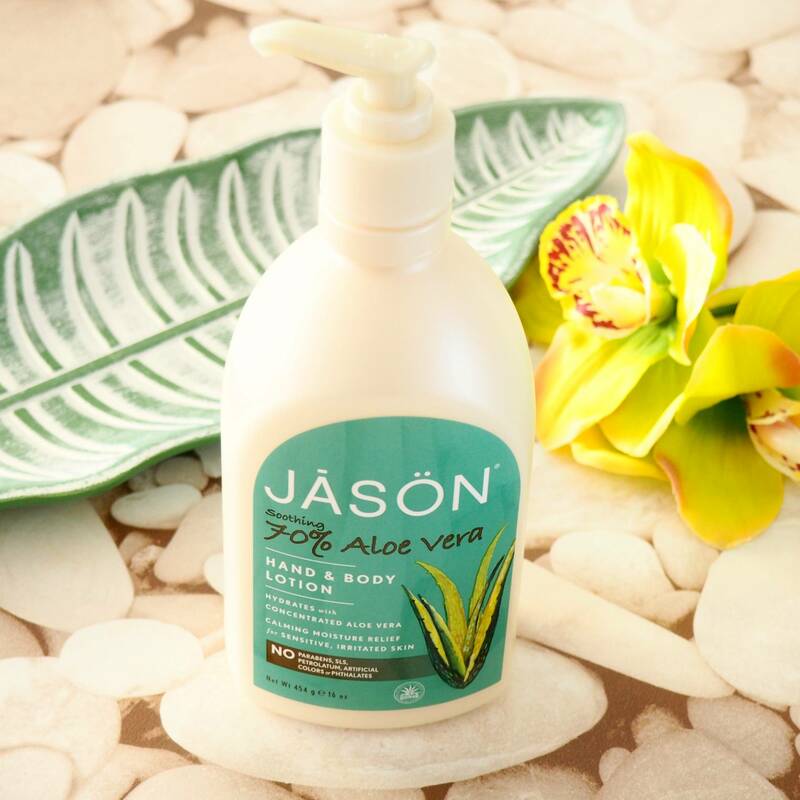 If you like Tuberose you will love this, its also long lasting and once it settles on your skin its just so elegant, gentle and beautiful without being ‘too floral’. I will certainly be repurchasing this for quite some time to come. 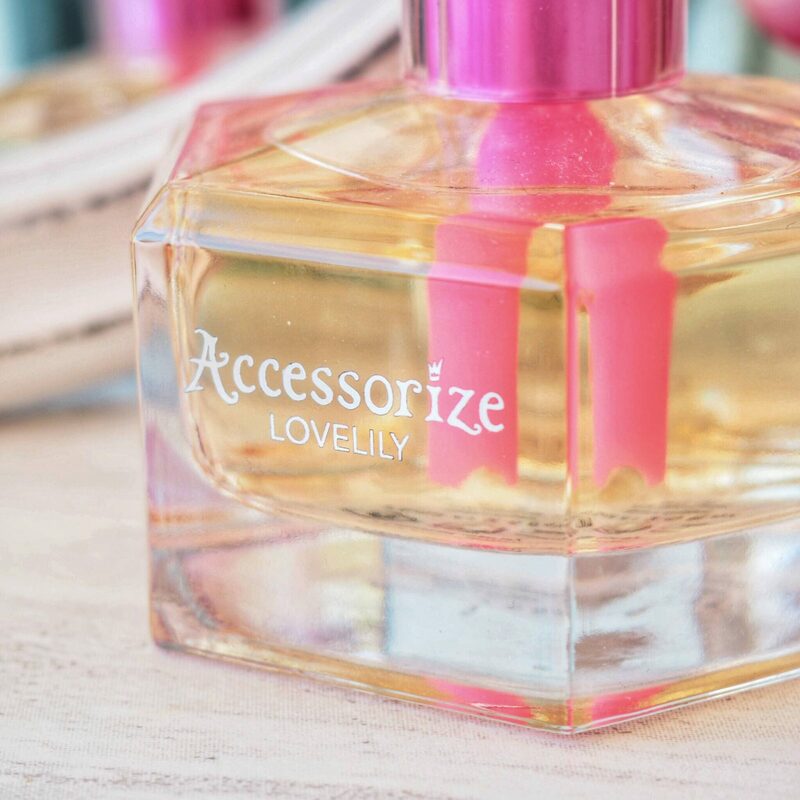 From Accessorize comes their sweet and vibrant perfume ‘LoveLily‘. 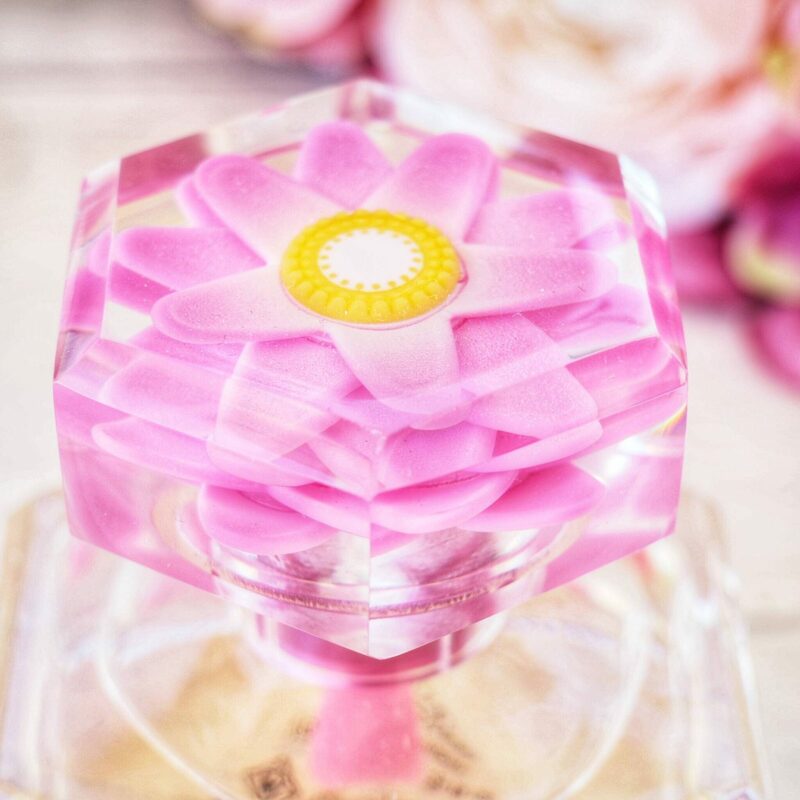 Firstly the bottle is ‘Springtime adorable’, a glass hexagonal design with a bright pink lily adorning the bottle top. 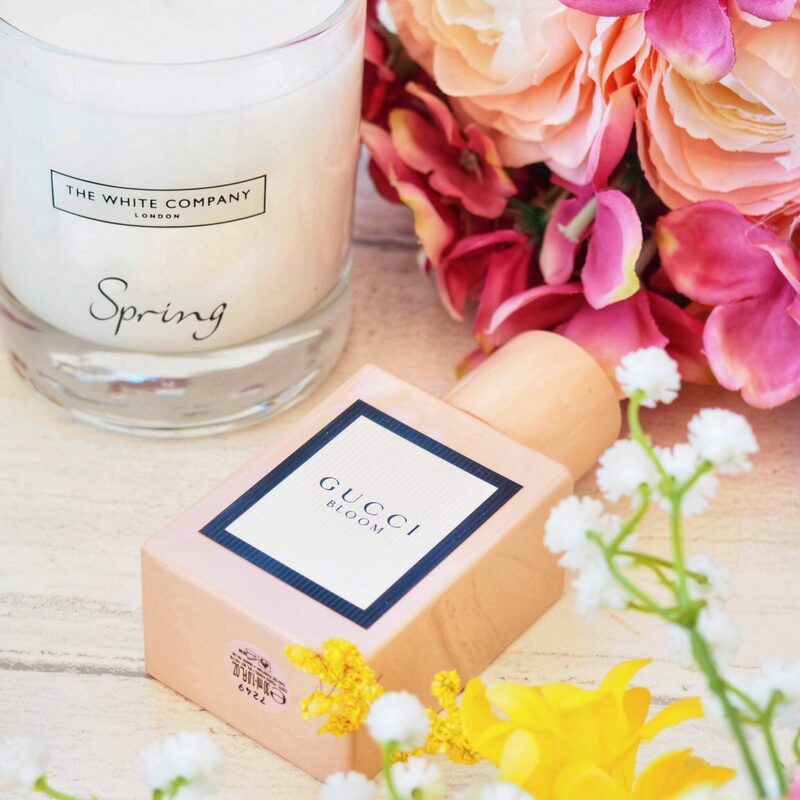 As soon as you open the packaging it makes you smile and immediately makes you think of Spring, and like the packaging the scent itself is a perfect everyday ‘Spring fresh’ scent. 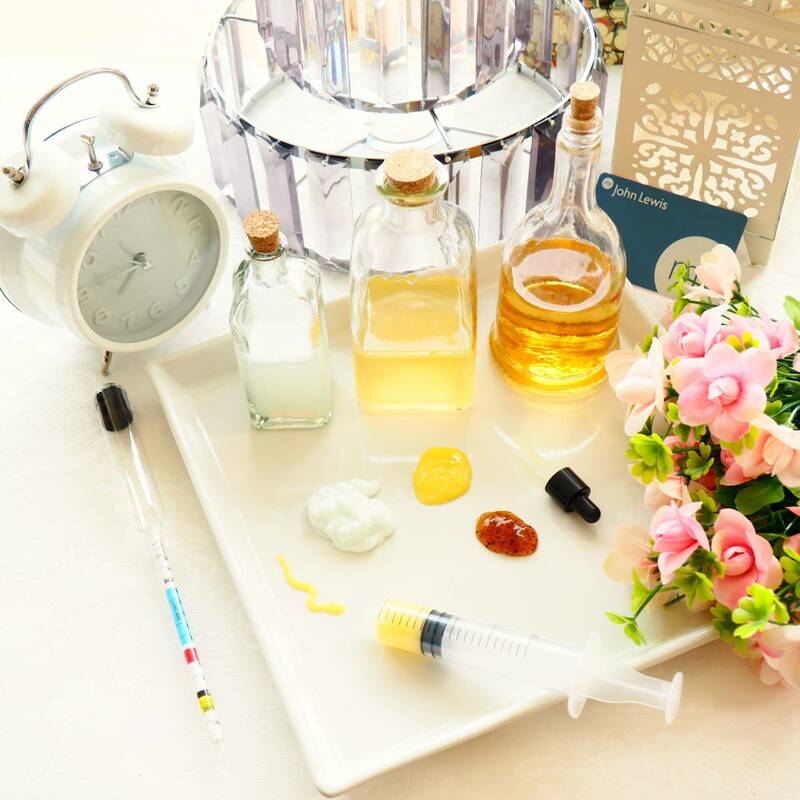 Its quite a heavy bottle so may not be the most travel friendly in size or shape, however it will look adorable on any dressing table and its ones that certainly brightens up its space. With notes of raspberry, orange, jasmine and sweet vanilla this delicious concoction is the perfect signature fragrance for the much-loved jewellery, bags and accessories Brand. 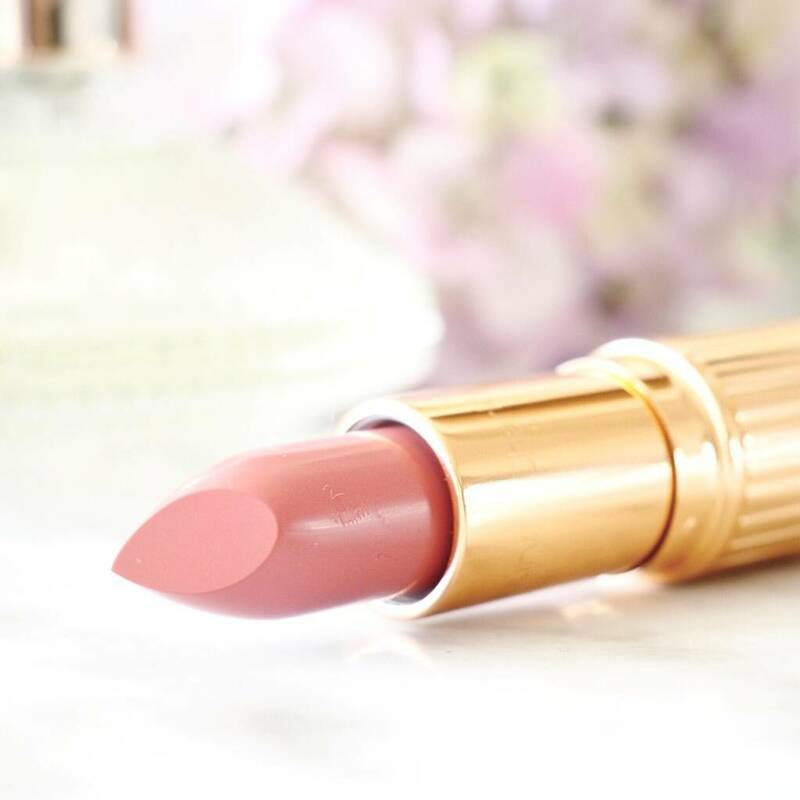 I like that is not too overpowering however I do find that its not so long-lasting on me, having said that at £19.00 for a 75ml bottle it is rather purse friendly so you don’t mind reapplying throughout the day when needed. A lovely alternative to designer fragrances especially if fruity/floral fragrances are your preferred choice. 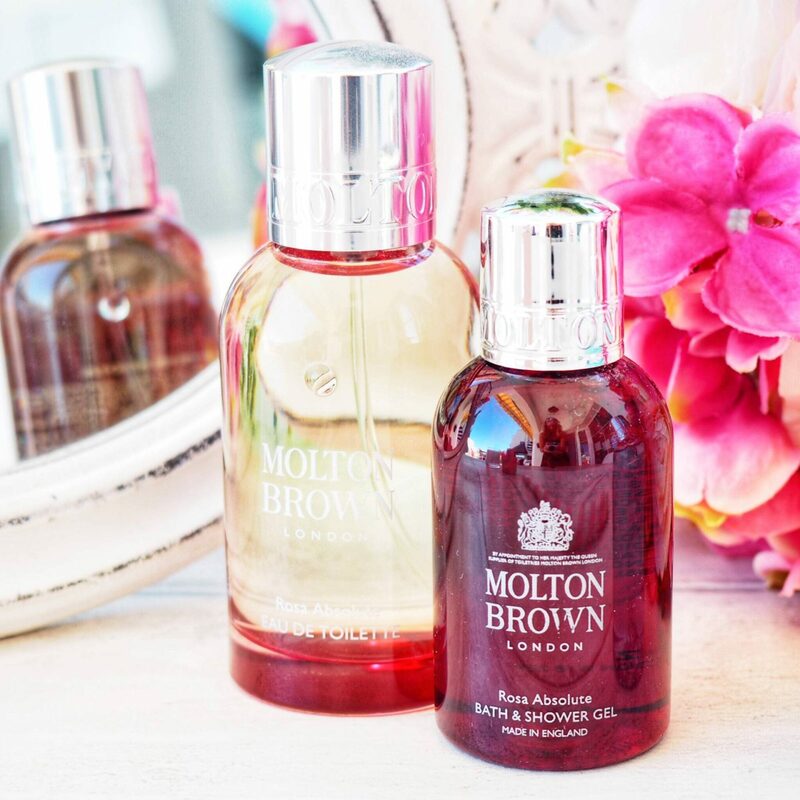 I don’t think I could mention fragrances without mentioning Molton Brown, I love switching to different scents of theirs to reflect and compliment each Season. And whilst again I prefer their more masculine fragrances for Winter such as Tobacco Absolute or their Eucalyptus for a long soak in the bath, and likewise, their Citrus fragrances for Summer (prepare yourselves for lots of Orange and Bergamot in the coming months). 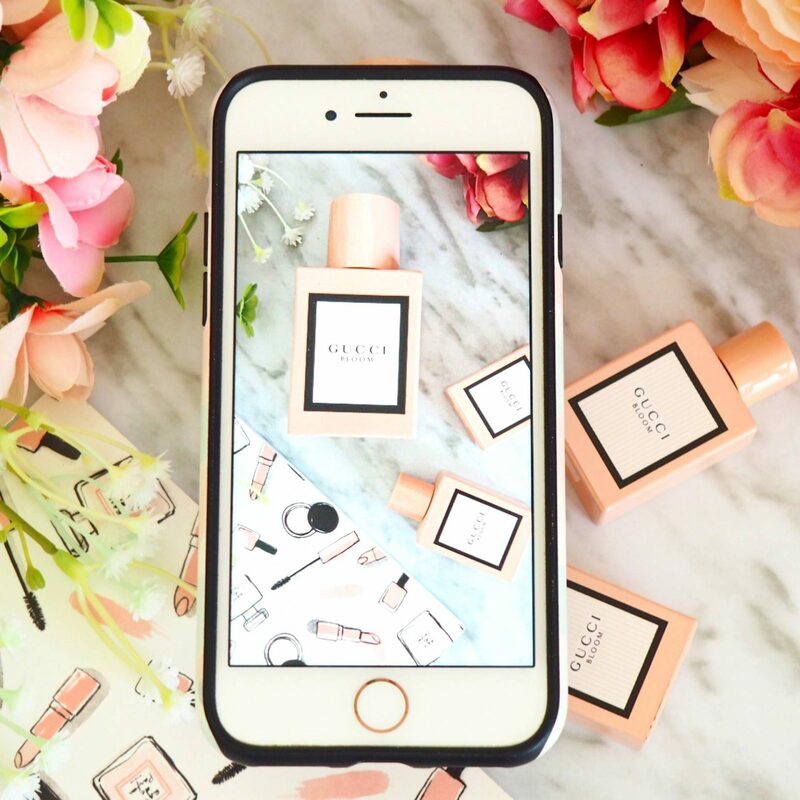 For Spring my current go-to is two of their scents – their Rosa Absolute and also their Coastal Cypress and Sea Fennel. 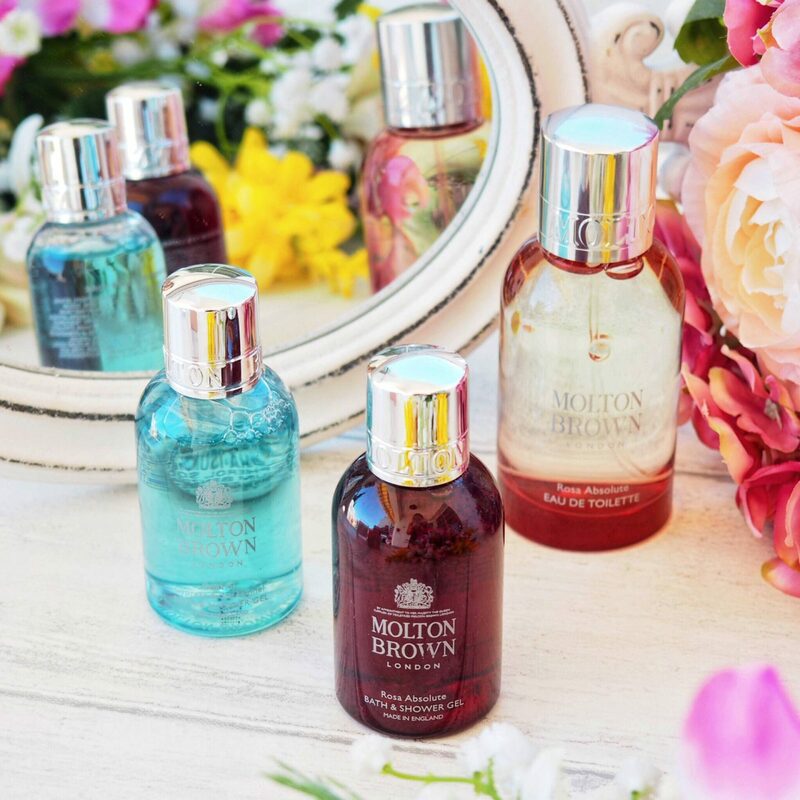 I love Molton Brown Bath and Shower gels, they are just so refreshing, light and have such a luxurious feel to them. 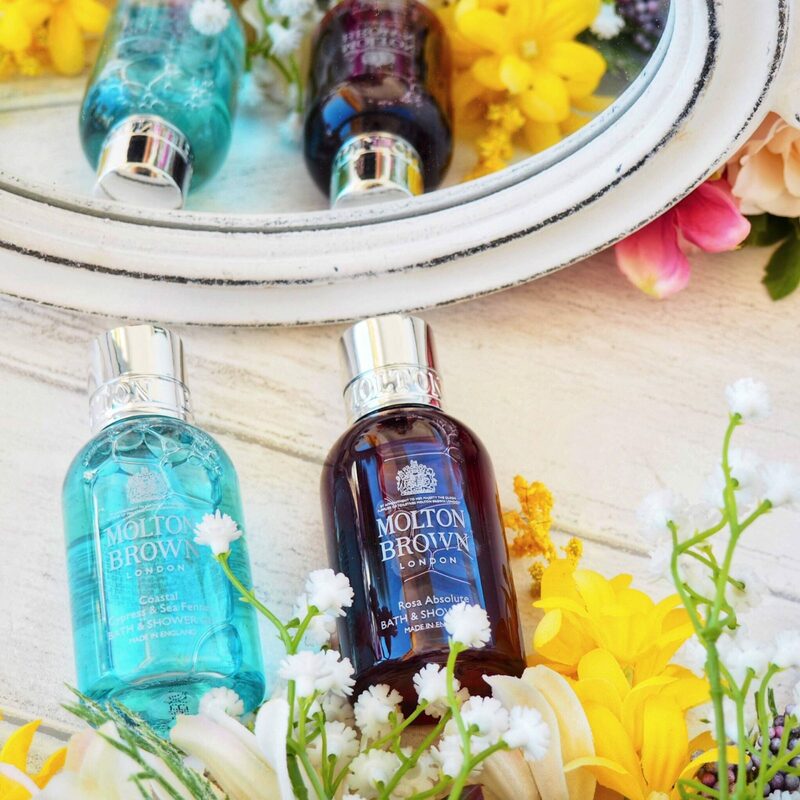 Stepping into a shower with a Molton Brown product certainly has that spa-like feeling for us and likewise their body wash is so perfect for a soak in the bath (especially as it produces lots of bubbles). 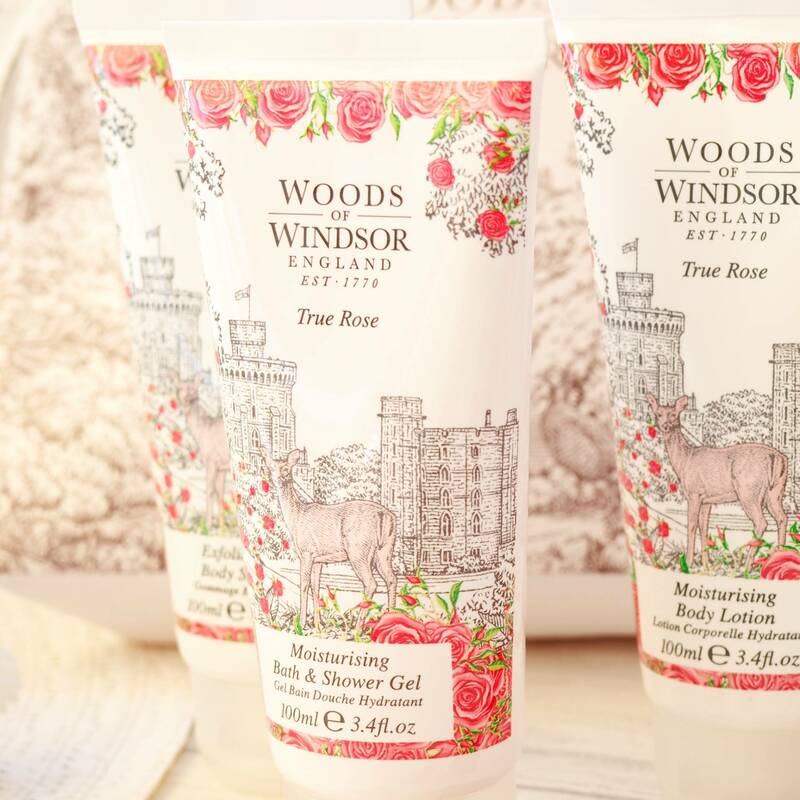 The Rosa Absolute is a great one for early Spring for me as it still has a slightly stronger scent to it, I have the bath and shower gel and I also have this in the Eau de Toilette. I find it to be quite a deep and rich musky rose with a slight woodiness to it, which makes it a great Winter to Spring fragrance that lingers on the skin after a shower, especially when layering with their Eau de Toilette. 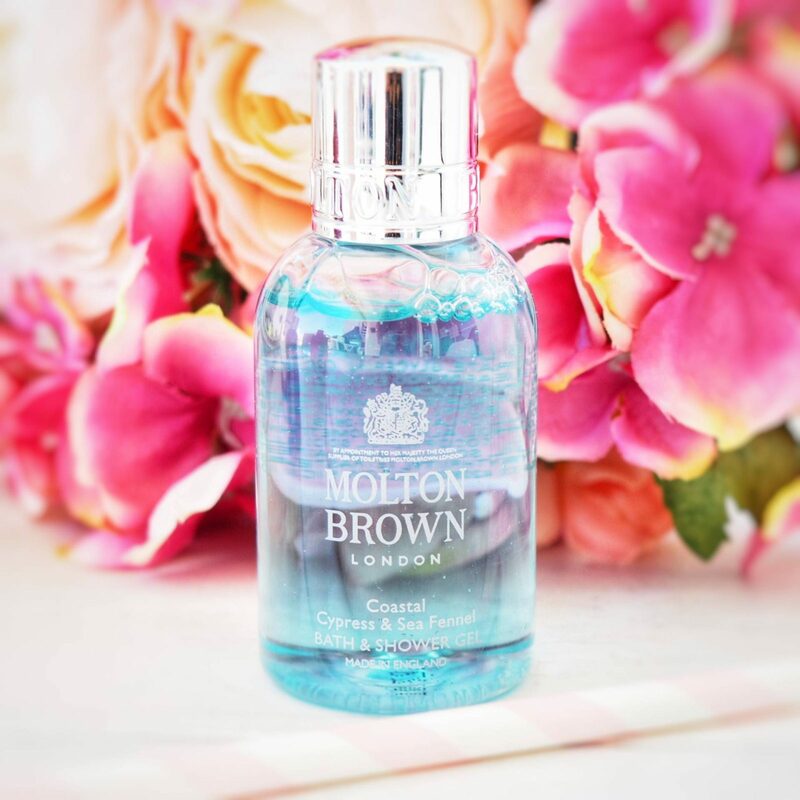 To contrast the Rosa Absolute, the Molton Brown Coastal Cypress & Sea Fennel is the perfect Spring to Summer scent in my opinion. Its so light, crisp and refreshing, and leaves me dreaming of the salty sea on a sun drenched beach of a beautiful coastal town. Its a men’s shower gel but I find it to be a great unisex fragrance like so many of the Molton Brown scents. I also find it to be a lighter alternative to Molton Brown’s Black Peppercorn (which is another favourite). 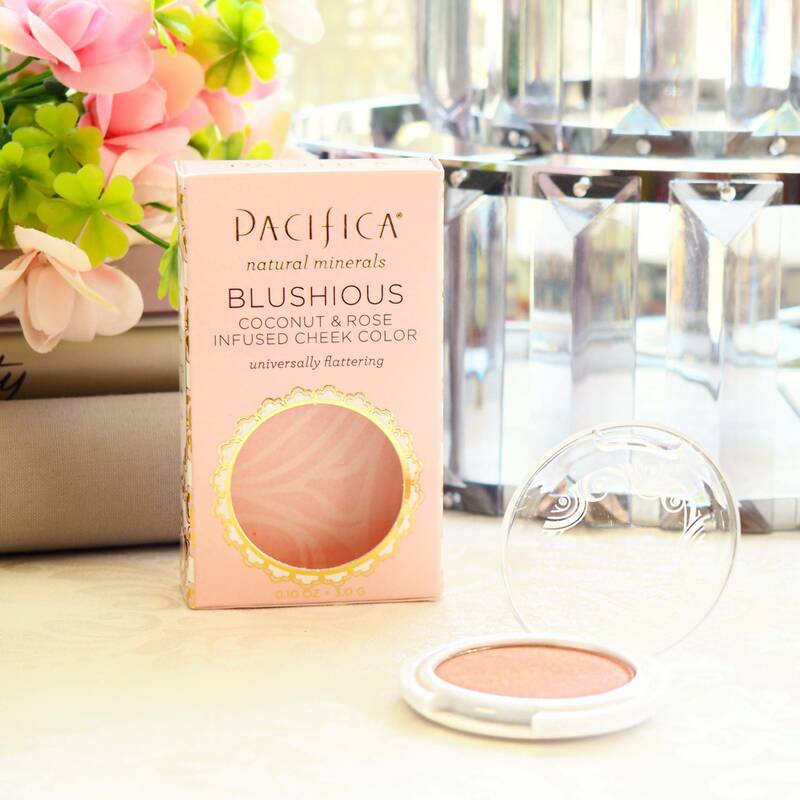 I love the blue colour of this product and the scent just seems to take you away in an instant, infact when you step out of the shower you find yourself wanting to reach for your Summer Sandals and head off to Santorini, its beautiful. 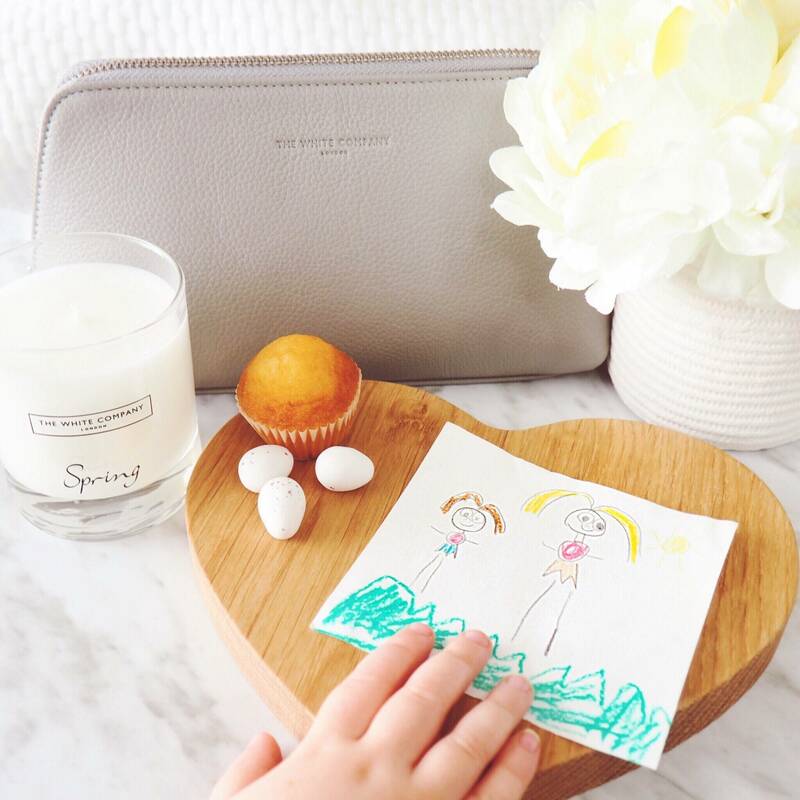 The White Company have each Season nailed with their Signature Seasonal Candles. I buy each respective Candle for each respective Season and their Spring Candle is divine. 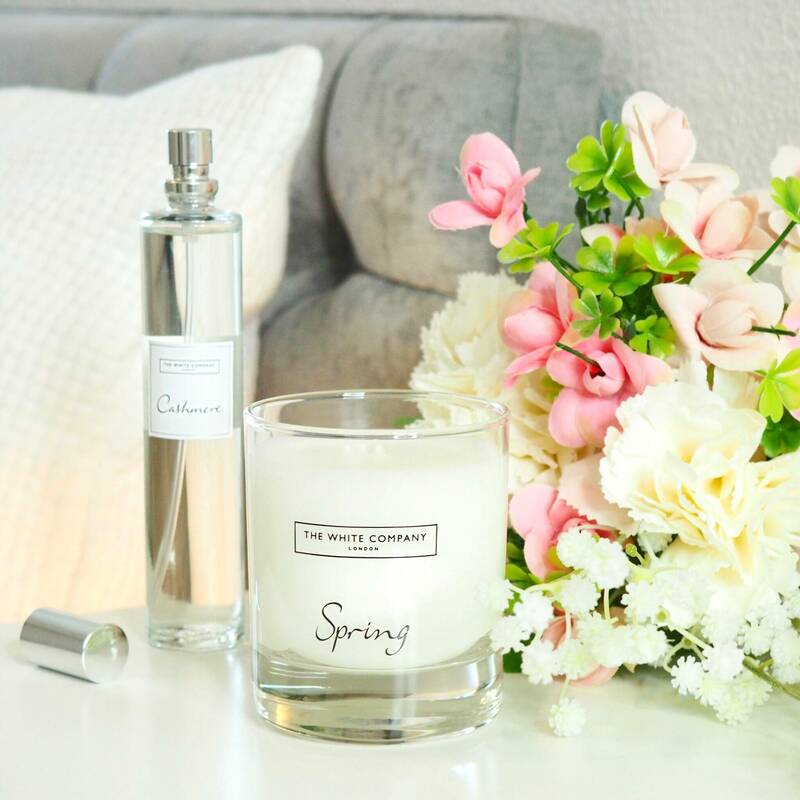 It encapsulates the Seasonal scents to perfection and its so lovely to have the house feeling so ‘Spring Fresh’ as a result. Light and sweet notes of honeysuckle, rose, jasmine and lilac combine with the earthy aroma of freshly cut grass – this Spring Fragrance is perfectly fitting in so many ways. 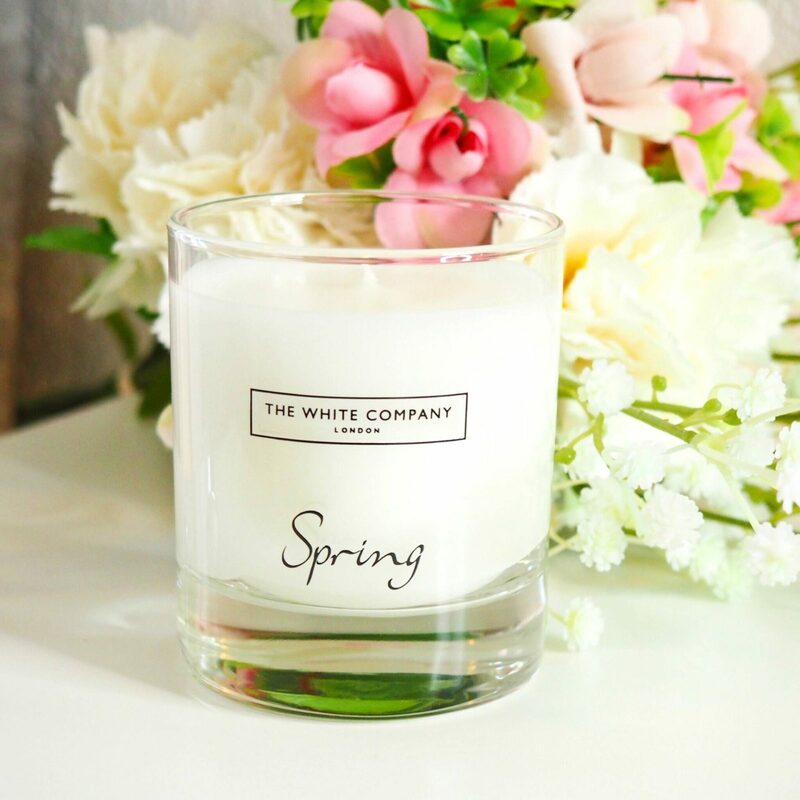 If I had to be picky then The White Company’s Summer and Autumn Candles are my personal favourites but I still adore this Spring scent. Lighting this Candle on a Sunday morning as I change the bedding with fresh clean sheets, with the birds singing outside as the rays of sunshine start to fill the room is what Spring is all about, and I love it.